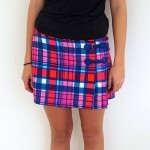 Our Classic Golf Kilt in Sadler’s Check hangs beautifully and swings with you as you make that perfect shot! 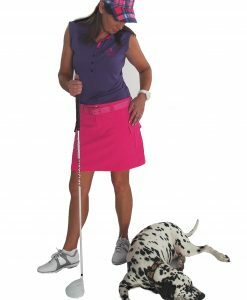 generous hem can be let down 2-3cms by unpicking the top blind-stitch hem to reveal the lower hem already in place. 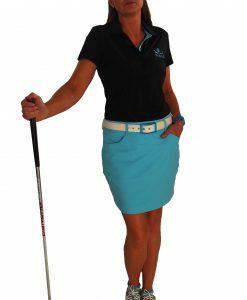 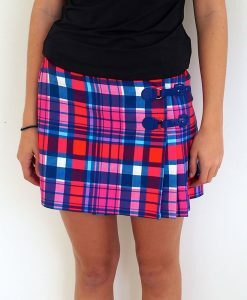 The Kilt sits mid-thigh for the average height golfer (our model is above average height at 176 cms so the kilt is sitting shorter on her). 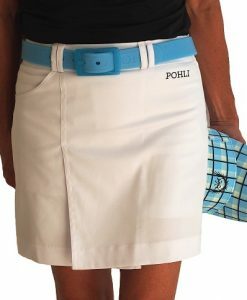 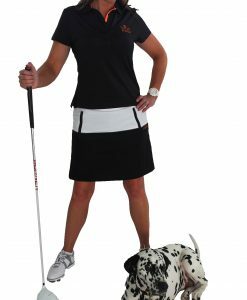 Our kilt now comes with Pohli knicks included: a great option which allows you to easily slip on rain pants beneath your skirt or cool down after a round of golf.